Viola Desmond was a businesswoman and an individual passionate about civil liberties. She was born on July 6th 1914 in Halifax, Nova Scotia. Viola’s parents were active members of the black community, and Viola fit right in. In her early adult life, Viola opened up the Desmond School of Beauty Culture, a beauty school specifically for black women. Viola knew what she was doing, and she opened up this store was so that the rate of unemployment for young black women in her community would decrease. Viola’s school was a success, and then came the next part of her story. One night in 1946, Viola was experiencing some car troubles. So she booked a hotel for the night and decided to go see a movie at the Roseland Theatre to pass the time. 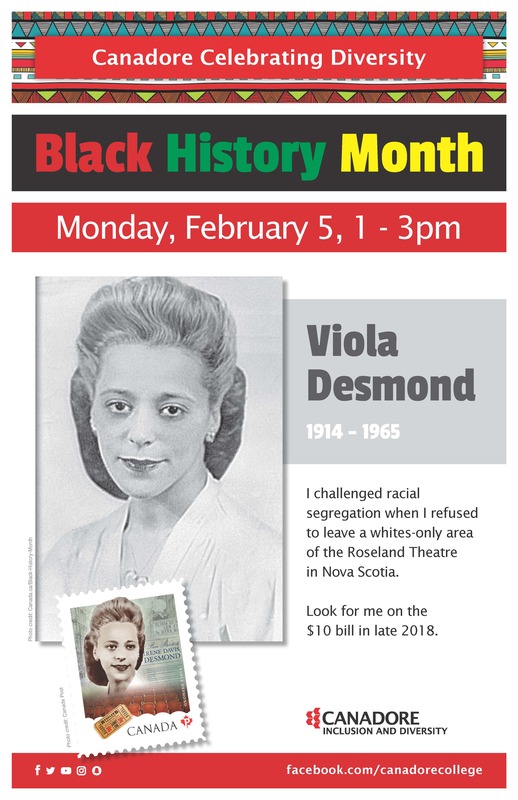 It was at the theatre that Viola Desmond was a victim of plain-out systematic racism; as she asked for a ticket on the main floor (The main floor was for white people only). Viola was confronted by the ticket seller and given a ticket for the balcony instead, and yet Viola headed for the main floor seating area where she was stopped by the ticket-taker and told that she had a ticket for upstairs, and she would have to leave immediately. Viola went back to the ticket seller and asked for a ticket for the main floor, and got told verbatim “I'm sorry but I'm not permitted to sell downstairs tickets to you people.” Enraged by this, Viola marched right down to the main floor and was confronted by the theatre manager, who said the theatre had the right to dismiss any “objectionable” people. Viola Desmond ended up being dragged out of the theatre by a police officer and injured her hip and leg on the way out, and had to spend the night in a jail cell. The case went to court and Viola was found guilty and forced to pay a fine for doing absolutely nothing wrong except not being white. Decades later, Viola’s story gained fame and became the driving force that led to her being pardoned by Nova Scotia and receiving a formal apology for the way she was treated. It was on March 8th, 2016 that the Bank of Canada announced that Viola Desmond’s face will be the first Canadian woman to appear on the $10 banknote being released in 2018.